I found this somewhat ambitious restoration project a while back. They are even smaller than they look; think smaller than a 1980s civic; honda beat sized. 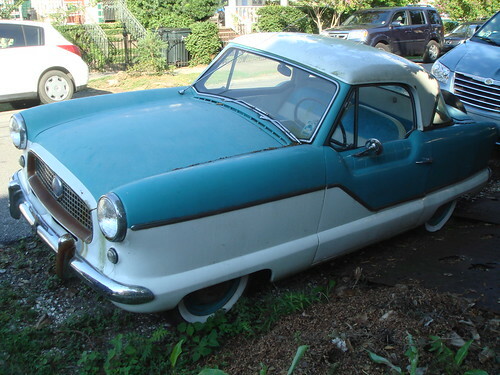 This one is a 1958 as far as I can tell (by this I mean wikipedia) because it has no trunk lid. This pretty blue and white thing is still a driver; I heard from people in the neigborhood that the original owner's son drives it occasionally since she passed away. I think it's a 1960, but it could be 1959. 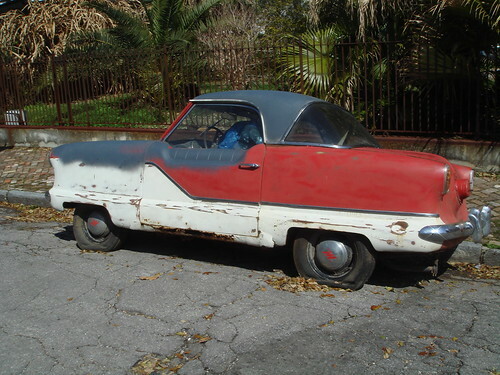 In doing my car research I found this exact car on the wikipedia article for the metropolitans. Anyway. If you want to check out my writeup it is here, and it is really probably better written than anything I turned in for forensics class last semester because I had time to put it together while Clay studied for the professional engineer exam. I decided on the Tuesday before it was due that I was going to finish the puzzle and really make a go at it; so this is only really about eight or ten hours worth of work over a few nights. I really have no idea what to do with all this free time since I've graduated and the wedding is thankfully overwith. It's not like there isn't work; one of my companies is expanding and the other one wants more hours. Every spare moment in the last few years was eaten up by something; now all I have outside of work is ballet. And malware. But what do I do with it? We are coming to you live from egobsd n-point-0. Because I honestly have no idea how many revisions this site has been through in its ten years. As a bonus I moved the site back home so when it breaks I can call my dad to walk out to the shed and hit it with a hammer, at least until it moves thirty miles to a proper server room. 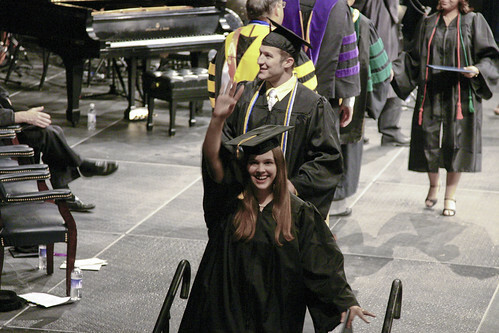 Oh yeah, and I actually managed to graduate back in May. Novel concept.